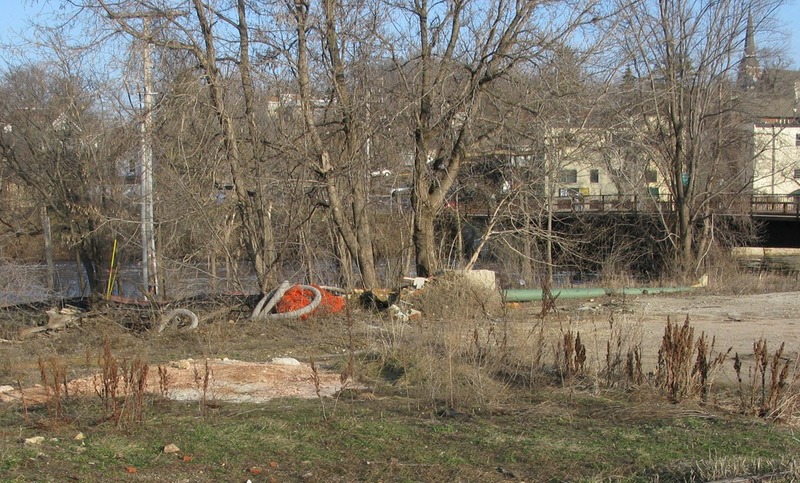 I began complaining about the construction mess on the undeveloped parts of the corner of Hwy 3 and 2nd St. back in the spring of 2007. I blogged about it a year later. It’s still a shithole and it became obvious again when the snow melted a few weeks ago. 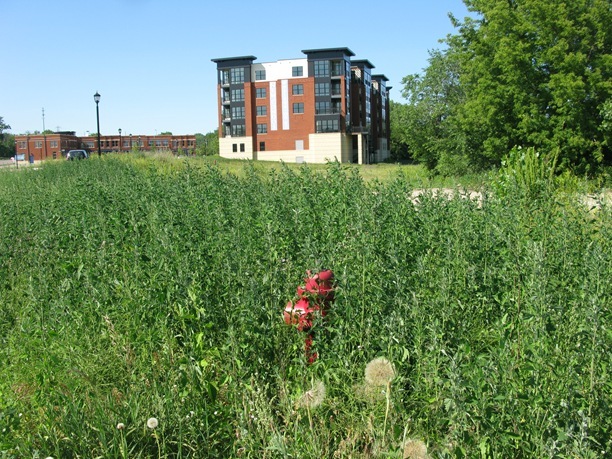 Brian O’Connell, Northfield Community Development Director, updated the Council on it last summer (July 10, 2009 Friday Memo) saying “Cost estimates for site improvements yet to be installed are being obtained.” I don’t know if he’s given any updates since then. I’m deliberately not using the usual names and phrases (tags) of this development in this post, as I don’t want the search engines to make the association and have it be listed towards the top of a search. The current realtor is making progress on selling units and I do want the development to succeed. City Hall shake-up at the top? 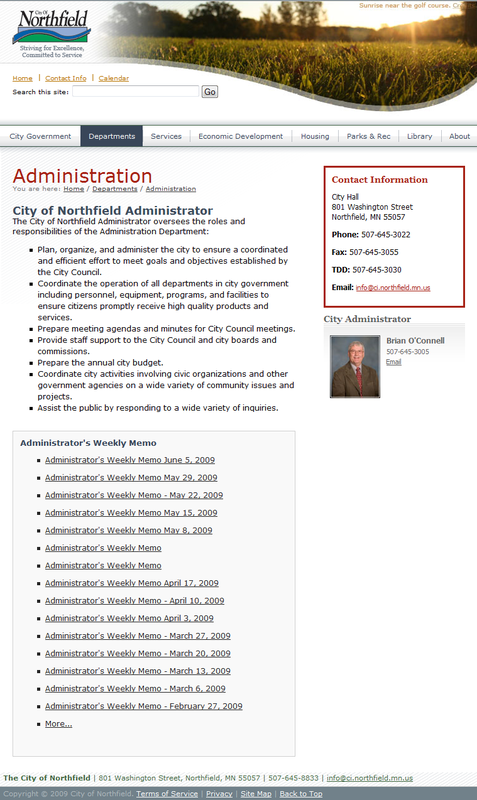 A glance at the City of Northfield web site tonight shows that Community Development Director Brian O’Connell is now the City Administrator and City Administrator Joel Walinski is now manager of Public Services. Check those links, as well as these screenshots taken at 9:00 PM. 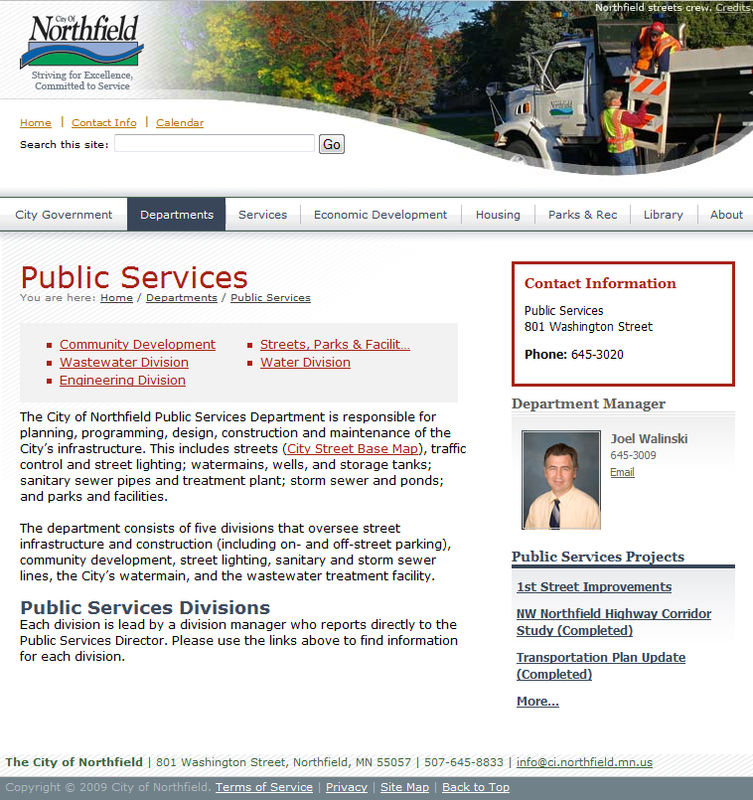 I’m guessing it’s a mixup by whoever’s maintaining the City’s website but in Northfield, one never knows for sure.